Cork City and Bohemians meet at Turner's Cross, in a match for the 6th round of the Premier Division. At this stadium, the head‑to‑head history favours the home team, since they have a record of 6 wins, 2 draws and 1 loss in the last 9 matches. Sure enough, the last time these teams met at this stadium, on 08‑10‑2018, in a match for the FAI Cup, Cork City won by (2‑1). The goals of the match were scored by G. Cummins (30' ) and K. Sheppard (37' ), for Cork City, and by I. Morris (59' ), for Bohemians. In this match the home advantage may play an important role, as both teams present significant differences between home and away performances. The home team is currently in the 6th position of the league, with 7 points won, after 2 wins, 1 draw and 2 losses. In the penultimate match, they tied in a home match against Derry City, by (0‑0). In the last match, they won in an away match against Finn Harps, by (3‑4). This is a team that, oddly enough, has had better results in away matches than at home, since in the last 30 matches they register 8 wins, 2 draws and 5 losses in away matches; against 7 wins, 2 draws and 6 losses at their stadium. 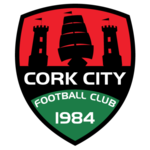 In the last 10 home matches Cork City has won 5, tied 1 and lost 4. Defensive consistency hasn’t been their best feature, as they have conceded goals in 4 of the last 5 matches for this competition. Cork enter this motivated match after a 3-4 win away to Finn Harps: McCarthy, Morrissey and Cummins have all scored goals from the win. The home club shall line up on a tactical system in 4-3-3, channeling their game, preferably through the center aisle. In this drawing, the three most advanced players will be Sheppard, Cummins and O'Connor. McCormack, Morrissey, and Buckley are the middle zone on the field, the latter being the middle-field boss. Coach John Caulfield should have all players available. Confirmed Lineup: M. McNulty, S. Griffin, C. Horgan, D. Casey, C. McCarthy, G. Buckley, G. Morrissey, C. McCormack, G. Cummins, D. O'Connor, K. Sheppard. The away team is currently in the 2nd position of the league, with 11 points won, after 3 wins and 2 draws. In the penultimate match, they tied in an away match against Waterford United, by (0‑0). In the last match, they tied in a home match against Derry City, by (1‑1). This is a team that usually gets better results in away matches than at home, since in the last 30 matches they register 10 wins, 3 draws and 2 losses in away matches, with 31 goals scored and 8 conceded; against 7 wins, 5 draws and 3 losses at their stadium, with 29 goals scored and 15 conceded. 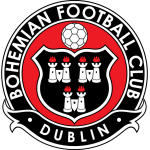 In the last 10 away matches Bohemians has won 7, tied 2 and lost 1. Defensive consistency has been one of their best features, as they have only conceded goals in 1 of the last 5 matches, and their offense has scored consistently, as they have scored goals in 4 of the last 5 matches for this competition. Bohemian enter this motivated round after a 1-4 win at the Shelbourne arena for the Leinster Senior Cup. The visiting club's main attacking point is Irish Dinny Corcoran. In this way, the foreigner emblem usually acts in a tactical system in 5-4-1, reason why, in this drawing, the piece responsible for serving the men of the front the best is the Irish Ward. In any case, when he chooses to attack the lines he guesses that he does it through the right aisle, taking advantage of the depth offered by the side Cornwall. Confirmed Lineup: J. Talbot, D. Pender, D. Leahy, J. Finnerty, R. Cornwall, D. Mandroiu, C. Levingston, K. Buckley, K. Ward, D. Corcoran, D. Grant. The most likely scenario for this challenge will be that Cork does not win. Aside from the home club being in the bottom half of the table, still going through a bad moment inside doors, having won only one of the last five matches. On the other hand, it should be noted that Bohemian have won three victories in the last four outings.